Are you looking for a new power supply, but you find the pricing of the Platinum and Titanium ones ludicrous? Somehow, despite being more expensive, we always ended up deciding for an above average costing unit, simply because it was price wise in-line with the rest of the system. Doing the opposite feels like putting some B grade tires on a new Aston Martin… You simply don’t do that! :). That doesn’t mean you are obliged to follow our example, feel free to do whatever floats your boat. But aside from higher quality components, more expensive units often give you better sound accoustics, nicer and thinner sleeved modular cables, more connectors and increased stability with A grade capacitors and overall increased build quality. Another benefit promoted by the manufacturers of PSU’s is 80 Plus certification. These PSU’s save your hard earned cash, being more efficiënt. Today, we are testing that claim using a Corsair AX860i 80 Plus Platinum vs an inexpensive Corsair VS450 with a regular 80 Plus rating. Why these two? Most and foremost because we simply have them here at geek headquarters and secondly because they are on opposite ends of the 80 Plus scale. 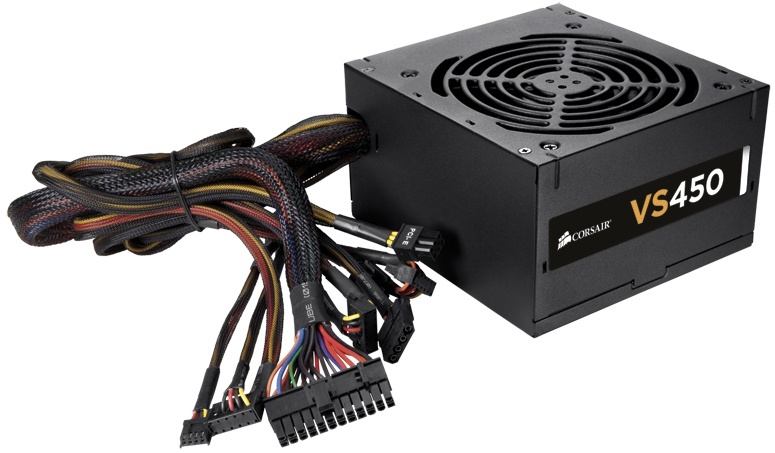 The Corsair AX860i has beautifull sleeved cables, Corsair link technology, and is fully modular. The downside are the costs of this unit exceeding € 200,00. The Corsair VS450 is not modular, has disco like colored cables sticking out of the braided sleeving, and feels light in comparison to the beefy AX860i model. But hey! What can you expect for € 40,00, costing 20% of the Ax860i? Before we dive into the comparison a few words regarding the term 80 Plus. 80 plus is a voluntary certification program founded in 2004. Seasonic was the first firm to implement this certification on their PSU’s and in 2012 Dell and Delta Electronics released the world’s first Titanium certified PSU. In between 2004 and 2018 a lot has happened, leading to the six certifcation levels we know today, ranging from regular 80 Plus, Bronze all the way up to 80 Plus Titanium. But what does is mean? 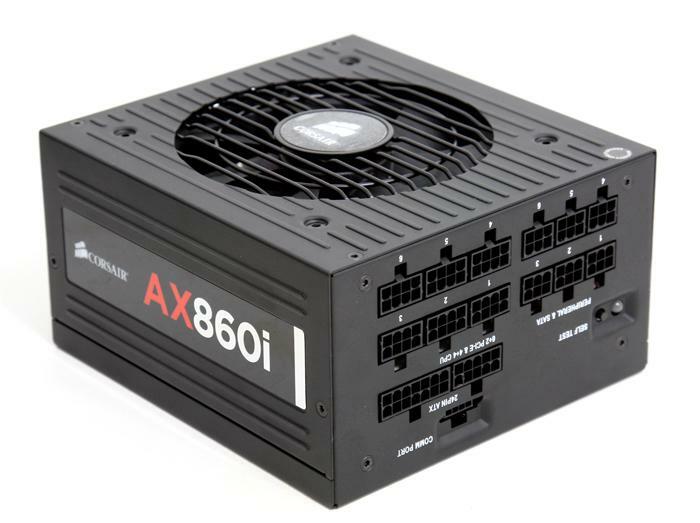 To put it simple, if your pc pulls 300W from an 80 Plus PSU, this PSU will generate (20%) 60 Watt of excess heat due too internal friction and resistance. At the wall you will see a power draw of approximately 360W. the same system with a platinum certificate pulls 330W from the wall at 20% load and 318 watt at 50% load. In the best possible situation this saves you 0,042 KW every hour. Multiply this with the number of hours your pc is on per day, and then again with your KW/h costs. Your savings and earn back period in this example depends on your power costs and PSU of choice. In Europe the KW/h costs differs from supplier to supplier, but somewhere between € 0.18 and € 0.20 KW/h is normal. 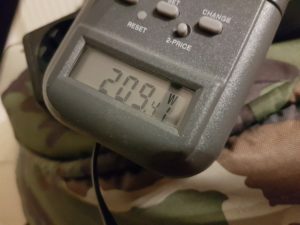 You can imagine we are jealouss of our readers living in the US, where € 0,10 per KW/h is more common. 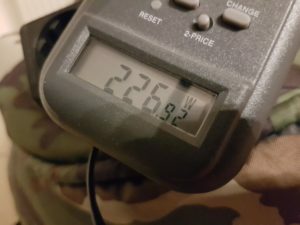 Given the example above the extra 0.042 KW/h will cost (0.042 KW/h x 6 hours) x € 0,20 = € 0,054 per day and € 19,71 per year. We will earn the difference back in eight years! Off course this conclusion is very short sighted. Every situation is unique, and so is every consumer and its individual needs. Not everybody settles for either a Corsair VS450 or AX860i. The market for PSU’s is extremely large. If we change one variable in our equation, for example opting for a € 75,00 Super Flower 550W Platinum King, you will be earning the difference back in two years and the whole unit in four years. Well that makes a difference! But theory is theory. Let’s have a look at our setup. We opted for a low power system with a Ryzen 5 2400G cpu, running an overclocked NVidia GTX 1050 Ti. 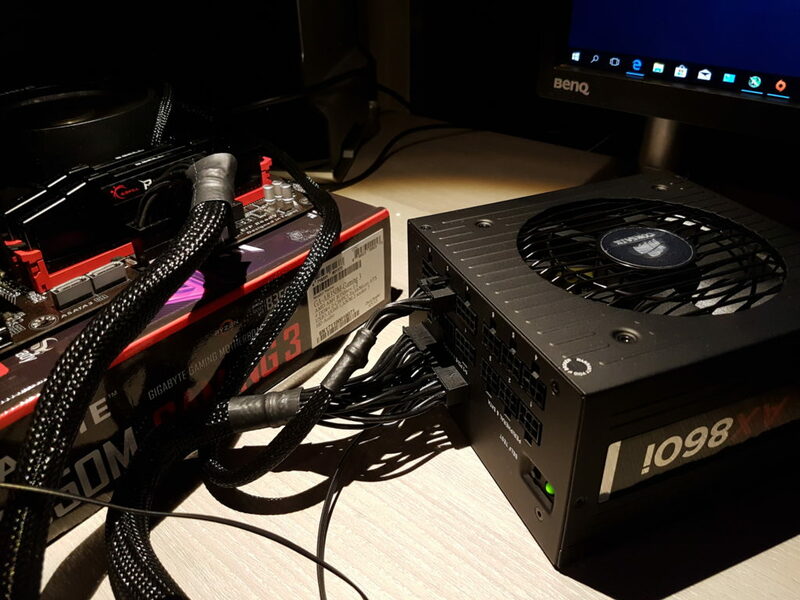 Our test setup with both PSU’s gave us some interesting findings. In idle there was no significant difference between both PSU’s, pulling around 90-92W from the wall. This conclusion can be explained using theory. The AX860i has a rating of 90% efficiency at 20% load. 90-92W is about 10.5% load, therefore it is not as efficiënt as it would be at for example 200W. The VS450 reaches its 20% efficiency exactly @ 90W performing within it’s comfort zone. We increased the voltage to the cpu increasing the power need and fired up a combined synthetic load on the 2400G and the GTX 1050Ti, running Cinebench R15 and Unigine Valley simultaneously. The GTX 1050Ti was also overclocked, +100mhz on the core and +500mhz on the memory. This time we started to see a difference. The AX860i reported 209-213W watts from the wall and the VS450 needed a bit more juice, 223-226W. The 17W difference at this load confirms the difference in efficiency rating between both PSU’s. The AX860i is performing at 90% efficiency @+/- 20% load and the VS450 at 80% efficiency @ +/- 50% load. What have we learned from all this? If you have a low power system it would be wiser to invest in a high quality lower power PSU with 80 Plus Gold or Platinum certification, giving you at least 88-90% efficiency rating at 20% load. In our example with the Ryzen 5 2400G setup an 80 plus Gold PSU would be the best of both worlds. At roughly 200-220 Watt power draw it will be at 50% load, chucking out a 92% efficiency, and being much cheaper than the AX860i which reaches it’s 94% efficiency @ approximately 430W. It has to be said that the high powered more expensive PSU’s come with more goodies and better build quality. Take for example Seasonic’s Prime Ultra Titanium series. These PSU’s have most of their wiring integrated on their circuit boards, reducing friction and heat, but also preventing dust from building up between components. Our Corsair AX860i comes with a special USB cable (Corsair link) enabling us to read out all possible variables, as input and output power, even per individual PCI-E channel. Last and foremost is your ability to upgrade your system without changing the power supply, so plan ahead if possible. Often you change a motherboard/cpu/memory combination two or three times before changing power supply. With the latest additions of Intel and AMD, the Core i9 and Threadripper cpu’s, the hunger for power has taken a lift. Where previous generations became more and more efficient, a new Core i9-7980XE alone can consume up to 530W under load. To answer the question, ‘should you buy a Titanium or Platinum power supply?’ As always, this depends…. 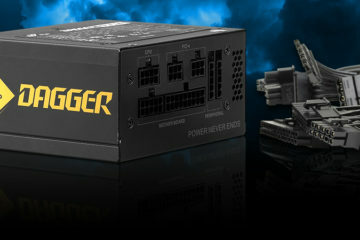 On your PC’s power needs, and the costs of the PSU. Is your Gaming pc turned ON 24/7, with a fast cpu and a heavy overclock, a Titanium or Platinum unit makes more sense. If you only use your pc to browse the internet, and play a game occasionally, almost every PSU from a respectable manufacturer is okay.